As the self-declared expert (aka huge fan) in Celeteque products, my ultimate goal is to review all the products that they offer. I am finally able to present to you the review of the third line I’ve tried after several months of use: the Celeteque Brightening Line. Along with the Hydration Line, the Brightening Line has the most products in its line up (six each). 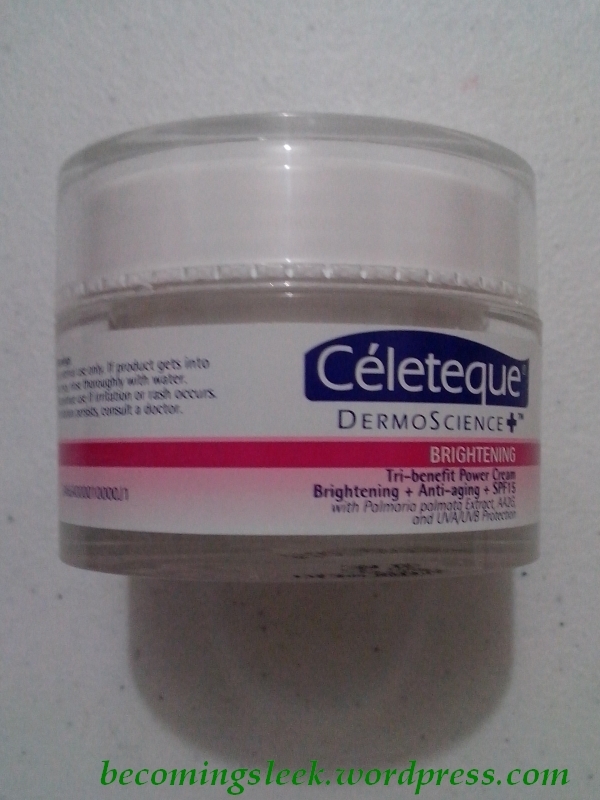 The Brightening line, as the name suggests, is Celeteque’s whitening range. It aims to lighten the skin and to eliminate dark spots, while also helping protect against darkening due to sun exposure. 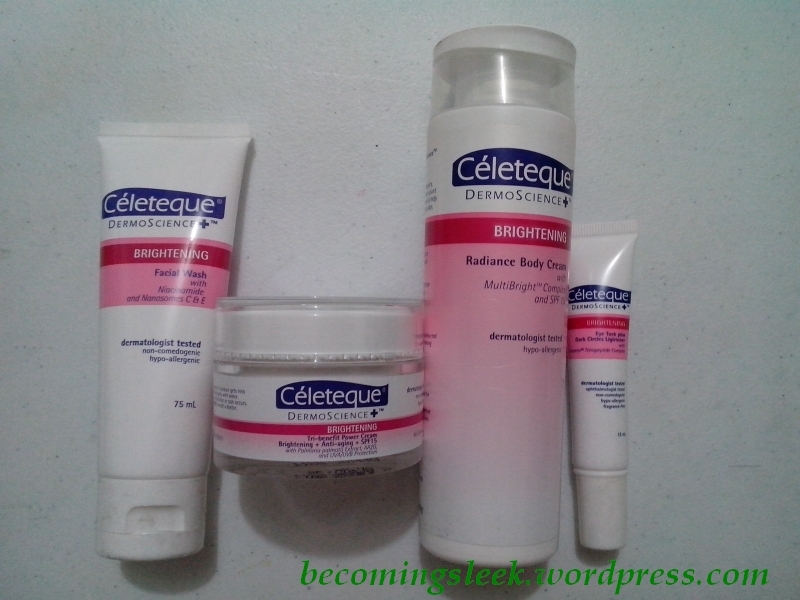 Let’s start with the Celeteque Brightening Facial Wash. This is a basic facial wash that contains antioxidants, which fight melanin formation and help lighten the skin. It’s in cream form that lathers up well, and I only need half a pea-sized amount to cover the entire face. I use this almost daily, morning and night. It leaves the skin thoroughly cleansed, with a slight squeaky clean feel, while remaining gentle enough even for sensitive skin. This 75ml bottle (Php150) lasts a long time! 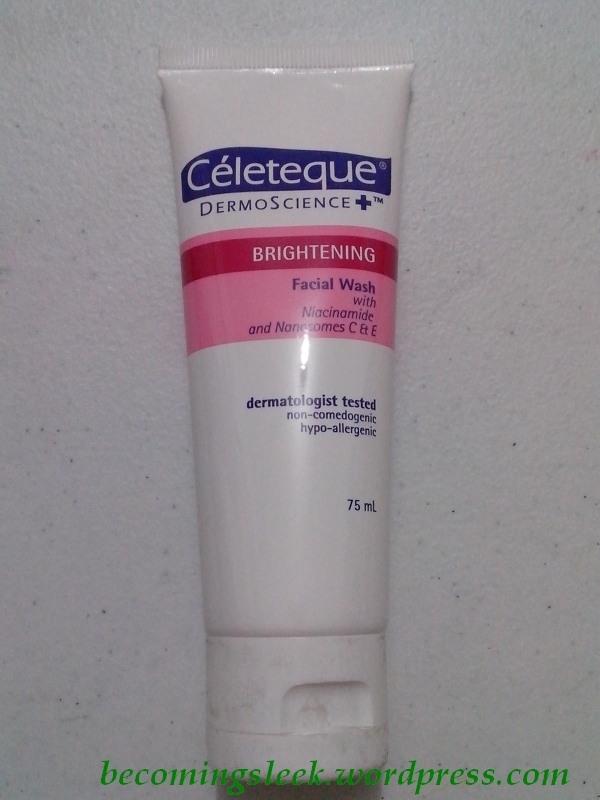 Next we have Celeteque Brightening Tri-Benefit Power Cream. This is a three-in-one product that brightens complexion, acts as anti-aging, and provides SPF15 all in a single cream. Read more about the key ingredients of this cream here. I use this basically as my day cream/moisturizer, and apply it underneath makeup. I’ve been using this for about two months, and I can say that this is a wonderful day cream/moisturizer! My face is kept moisturized and at the same time I get the added benefits of the anti-aging factor and the bonus SPF. In fact, with that SPF, I can use this cream alone on a lazy day. It doesn’t make my sensitive skin react. It comes in a pretty sturdy plastic tub that can definitely be reused once the product is consumed. It costs Php599 for 50ml, which is not quite cheap but not overly expensive either. 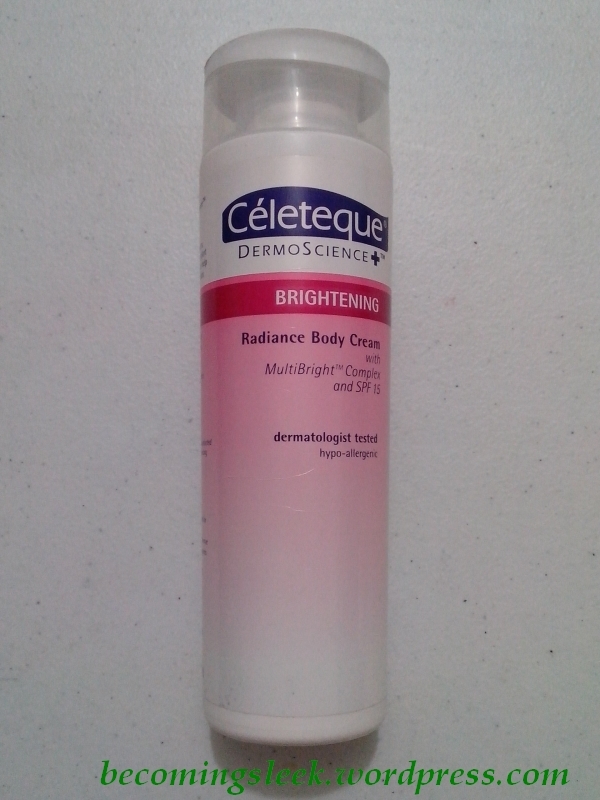 This next product is the Celeteque Brightening Radiance Body Cream. As the name suggests, this is actually a body lotion that aims to lighten the skin as well as make it more even-toned. It is a very thick lotion but doesn’t give a greasy feel. It also has SPF so it can be used as the daily sunscreen for the body. While I cannot vouch for the whitening aspect, I can say that this body cream moisturizes the skin quite well and keeps it that way for the day. This 200ml bottle costs Php270 which is fair for the amount of product you are getting. 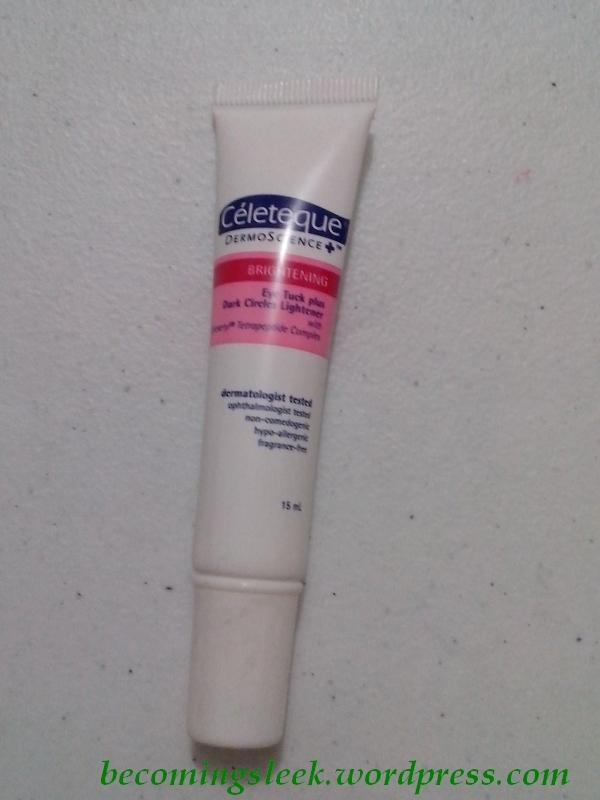 This next product is the Celeteque Brightening Eye Tuck Plus Dark Circles Lightener, and is basically Celeteque’s eye cream. It aims to reduce the puffiness around the eyes, and at the same time lightens the skin. Check out this page for more information about the ingredients. I’ve used up most of a tube of this and unfortunately, it didn’t really do much for my dark circles. It does do as advertised for the depuffing of eye bags, and makes me look less tired and puyat. This 15ml tube costs Php299. 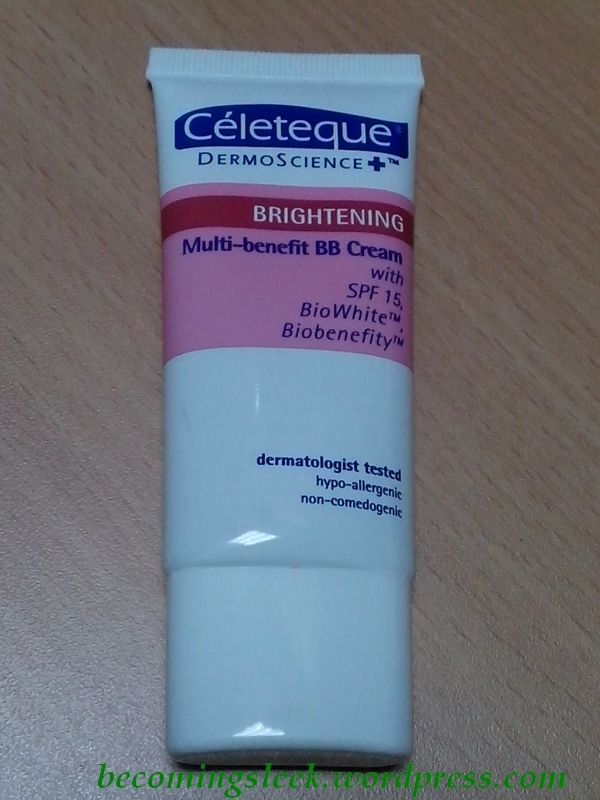 I already reviewed a fifth product in this line (Celeteque Brightening Multi-Benefit BB Cream) so you can just check out the link provided. Disclaimer: I have received these products as part of the early-bird prize at the Celeteque Loyalty Card Launch. All opinions are mine and I was not required to write anything about the products.